Now lipstick will stay put and last longer! No more smudges or feathery lines.You spend money on a flattering color of lipstick...don't let it embarrass you. 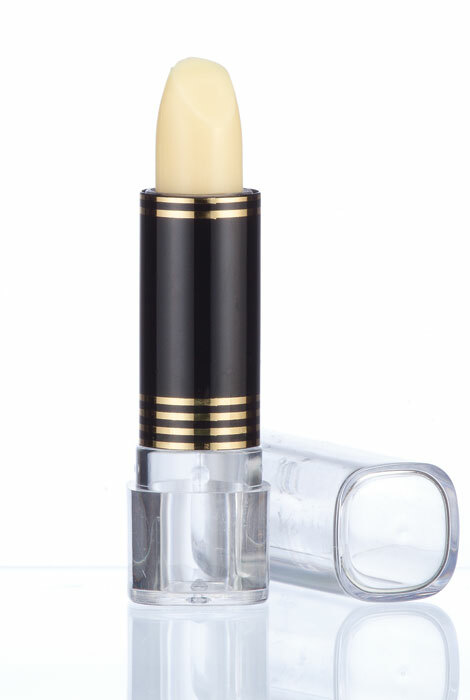 Apply conditioning Anti-=Feathering Lip Base before lipstick. 0.15 ounces. it now that I've used it. I am a woman of an older age and find this lip base to work great. I don't put it on my lips themselves. I apply it to wherever I have little lines around the outside of my mouth, then I apply my lip gloss or lipstick and it actually prevents the gloss or lipstick from bleeding into the lines. I would recommend it to anyone. I think if you use it this way, you will have better luck. Lipstick does not feather however it does change the color of the lipstic to a little lighter due to the under cover of this product. If I add more lipstick, it's sometimes too much. Lesson to users: apply AROUND the lips, NOT ON the lips, as most people are doing. This prevents the color from bleeding into the face, but does not change the color of your lipstick. It is colorless, so doesn't show. love this stuff. makes a big difference. It works - feathering is gone! i CANNOT LIVE WITHOUT THIS PRODUCT. i CAN EAT A PIZZA AND MY LIPSTICK STAYS IN PLACE. I am an elderly lady who was at one time a smoker, so naturally I have lines around my mouth. This item really does keep the lipstick from bleeding into those cracks. I use it every time I put on lipstick. I have tried many anti-feathering creams, balms, sticks and this is by far the best ever! I have use it for about 3 weeks so ar and it works. Could not find any other place except Miles Kimball.Will order more. keeps my lipstick from feathering. I bought it for two more friends they are pleased with it too I really like it Thank you Miles Kimble. I use it before adding lipstick. It works and moisturizes my lips. Works well and I use it every day. The anti-feathering lip base is a must have for me. I'm 66 years old and I hate it when I see my, and other womens lipstick going into the wrinkles of the skin above and on the sides of ladies lips. This stuff works great and moisturizes my lips. I have told many people about it. PRO; I HAVE USED MANY ANTI-FEATHERING PRIMERS AND THIS IS THE BEST BY FAR. My lipstick is always feathering but this product really prevents it from doing that. I have tried several products and this one works the best. I had an accident years ago. Many stitches were required to repair my lower face. The stitch scars around my mouth widened over the years, and lipstick would bleed into the scars. Add to that the natural age lines, and my lipstick had WAY too many little roads off my lips. Outlining my lips with this product keeps everything where it belongs. Feathers were not stopped from bleeding! It is a good moisturizer, but made any lipstick very light, did not last and did not keep my lipstick from feathering. Was disappointed. I wanted a good lipstick base but was Disappointed with this product ... I've been trying to find something like Sudden Change lipstick base coat for years since it went off the market. Back to the drawing board. I found it on line. I will give it a try. It helps my lipstick stay in place, and reduces feathering. I am 82 years old, have wrinkles around my mouth, and this product holds lipstick and prevents feathering better than anything I have tried. I have used two tubes already. It does what it claims----keeps lipstick from bleeding outside the lip lines. Used before and can't find in stores. I can use this item to reduce lipstick feathering. need help with lip stick feathering. I ordered this based upon the customer reviews. The reviews helped me to decide on this product. Have lines around mouth and dry lips. As I am growing older, I am noticing feathering when I apply my lipstick. Am hoping this product will either eliminate or reduce that issue. I obtained this product from somewhere and liked it so much I googled to replace it and found this site. Thanks! first time trying, i have problem with feathering! I think this works the best for non-feathering. Have used this and it works great. Bought one, loved it, couldn't find it for quite some time. have found it and purchased 2. Totally excellent and does what it says it will do. Amazing how it keeps very, very glossy lip color in line! Because it works GREAT to keep your lipstick from 'melting' down into lines on your lips/face. It's fantastic stuff! Have used this product for several years and love its results. Since I was a smoker for many years and have some deep lines on my upper lip, sometimes my lipstick will feather out and I can't stand it. I'm hoping this will help. My lipstick feathers, I'm hoping this really works! Nothing I've tried help with feathering, so I'm hoping this one does. This stuff really works. It keeps lipstick from feathering outside of the line of my lips. I've used it for years and when my local Sally's stopped carrying it, I tracked it down online. Wish to try this so my lipstick doesn't feather out. It promises to be a good item, it had good reviews. My friend swears by it! I ordered tubes for my other friends. I have searched high and low for a product that will resolve the problem with my lipstick bleeding. I am encountering different changes as I age. I always want to look my best. Thank you. Looking forward to trying out this product. Hopefully, this will help with my lipstick staying on my lips. BEST ANSWER: Great moisturizing product. Doesn't really stop feathering if you have those verticle above lip lines. 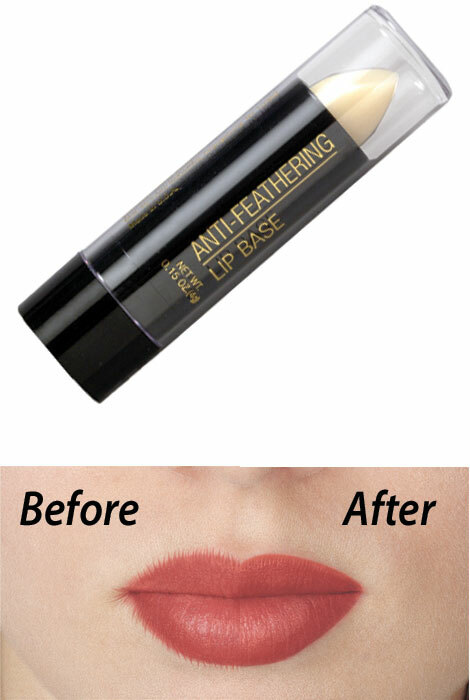 Anti-feathering application, apply alittle over makeup right above lip line, stops lipstick from running into lines! My daughter & I really like this product. It feels wonderful on the lips & is very moisturizing. As for the anti-feathering, I haven't found any product that performs the way I would like. I'm not easy to please. No. It didn't help at all. That's why I didn't buy it again. BEST ANSWER: Thank you for your question. We have listed below the ingredients for this item. We hope this information will be of help to you. Many ingredients, about 20 different ingredients, which are hard for me to read because the writing is so small on the bottom of the tube. I can tell you this product last along time, and works great, the tubes I have, I have had for two years and it really prevents lipstick from feathering. I am ordering more today, it also has not scent, which I like. How do I delete one item?I only want one of the antifeathering so I need 8.00 removed. BEST ANSWER: Thank you for your question. If they are on separate lines put a zero in the quantity box on each line. If you have 8 in the quantity box highlight the number and replace it with a 1. We hope this information will be of help to you.